Here is another beer that I drank earlier this summer during a short respite from the craziness of my day job. 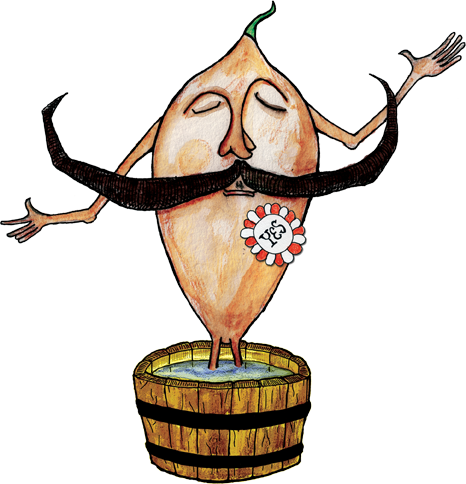 A Saison on a warm summer day, what more could you want? 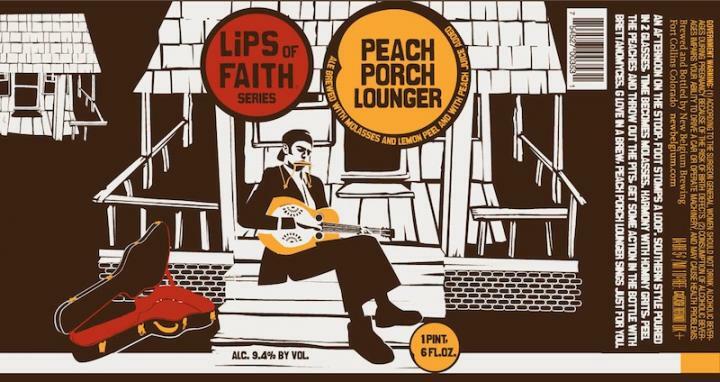 PEACH PORCH LOUNGER is a Saison/Farmhouse Ale from New Belgium’s Lips of Faith series. This 9.4% ABV limited release beer was brewed in collaboration with the musician G Love. Even though I have yet to have a beer from Great Divide really knock my socks off, they’re consistent enough to keep me coming back. That and they have awesome labels. For their spring seasonal they went with a fitting saison/farmhouse ale. 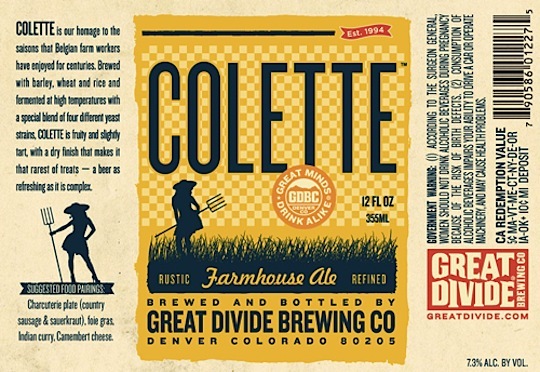 COLETTE is a Saison/Farmhouse Ale with a 7.3% ABV. 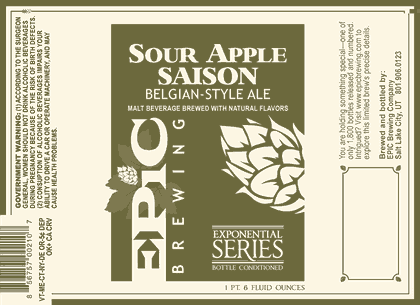 SOUR APPLE SAISON is a Saison/Farmhouse Ale with an 8.1% ABV. Ah, yes, another Lips of Faith beer. These are wondrous times. 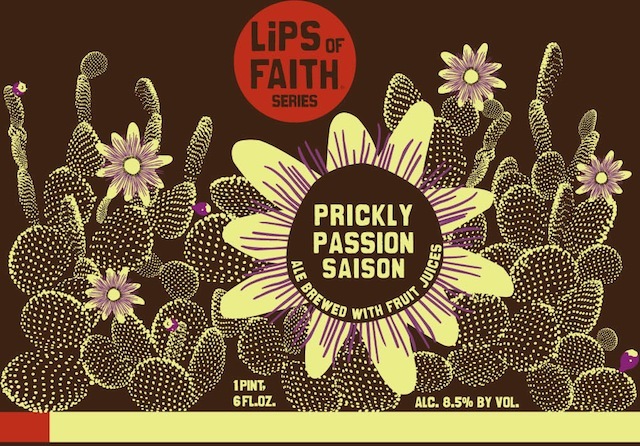 PRICKLY PASSION SAISON is a Saison/Farmhouse Ale with an 8.5% ABV. Beer purchasing is one of the few aspects of my life where I will judge a book by its cover. There’s nothing like a nice label or screen printed bottle to make a beer stand out from the crowd and grab my attention as I walk down a beer aisle. Pretty Things Beer & Ale Project out of Brookline, Massachusetts have some of the best labels in the game. Each beer has a very beautiful, and also very unique, label. They don’t always tell you something about the beer itself, but they all tell a story. JACK D’OR was the first Pretty Things beer I came across, so it was the first one I purchased. Jack D’or is farmhouse ale, or “Saison Americain” as they call it with 57 IBUs and a 6.5% ABV. The bottle I got was bottled in February 2011 and was part of batch 22.